London, Jan 4 (IANS) The doctor accused of being responsible for late pop legend Michael Jackson's death is due to appear in a Los Angeles court to face a charge of involuntary manslaughter. Conrad Murray, who was treating the pop star when he died June 25, 2009, is accused of negligence by administering a fatal dose of a powerful anaesthetic called propofol that caused the singer's death. The sleep aid is central to the prosecution's case and was a key factor in Jackson's death. It is rarely found outside a clinical setting, where it is mostly used intravenously before surgery. Sky News reports the prosecution is expected to argue that Murray was absent from the room while Jackson was receiving the drug and failed to have the equipment which could have revived him. The charge of involuntary manslaughter is the least serious manslaughter charge in California and carries a maximum four-year prison term and a fine of $10,000. Evidence against the doctor is expected to be laid out at a "preliminary hearing" after which Judge Michael Pastor can decide whether the case is strong enough to take to a jury. Murray, a cardiologist, was hired by the singer as he prepared for a 50-date concert series in London. 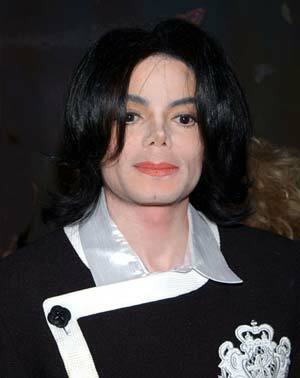 His bill was paid by the promoter AEG, which is facing a civil suit brought by Jackson's mother, Katherine. Tests found other drugs in Jackson's body - three types of anti-anxiety medication, the stimulant ephedrine and a local anaesthetic. The doctor's defence team claims he gave nothing to Jackson that "should have killed him" and that he took all necessary precautions. They have also hinted at their strategy that Murray was trying to wean the singer off the drugs, to which he had become addicted to help relieve the symptoms of chronic pain. They are also expected to argue that Jackson could have self-administered extra quantities of the drug. Murray has continued to practise medicine since the charges were filed in February and he has successfully fought an attempt to strip him of his medical licence in Nevada. Even if the judge does decide the case should move to a jury trial, the case could take months. Legal experts in the US say both sides are preparing carefully for the "highly technical" case. The prosecution is expected to call 30 witnesses and the preliminary hearing could take up to a fortnight. Members of Jackson's family are likely to attend.